The “acceptable damage” varies depending on each deal with each car firm, the spokesperson confirmed. “Joint action on this matter was taken by the European Commission and national consumer authorities in EU Member States, including the Irish Competition and Consumer Protection Commission with the five leading car rental companies in Europe. “The companies undertook that car rental prices should include all unavoidable charges, that information on additional insurance should be clear, that consumers should always be given the option to get and return a car with a full tank and that procedures for inspection of vehicle damage and for handling of damage claims should be clear and fair. “The European Commission and the national consumer authorities also agreed that they would continue to monitor the car rental sector closely. 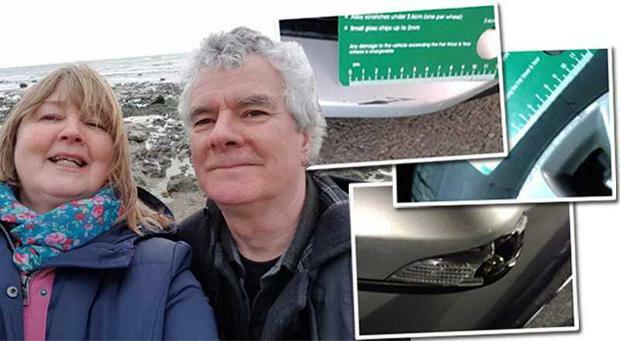 Revealed: How car rental companies are charging customers for pre-existing damage – and not actually repairing vehicles – Independent.ie.